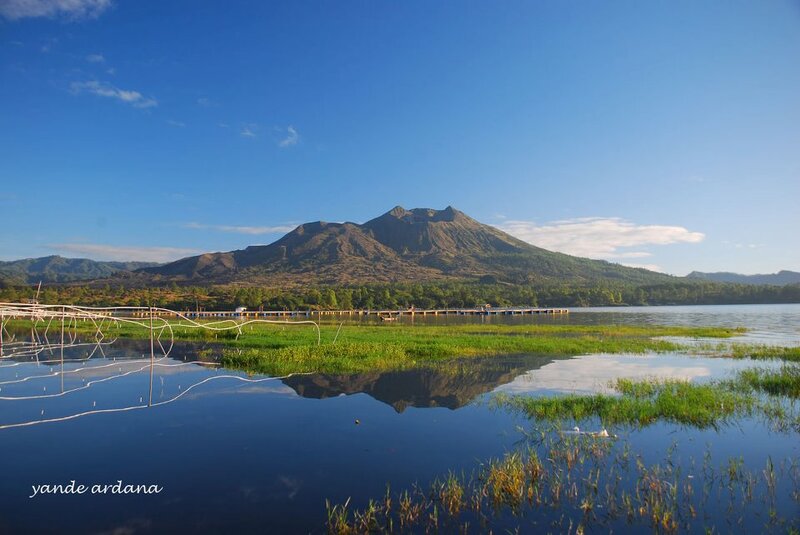 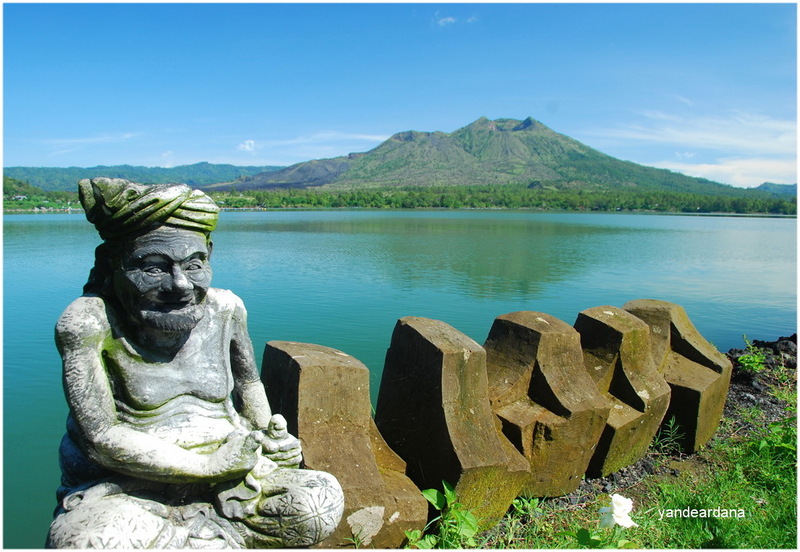 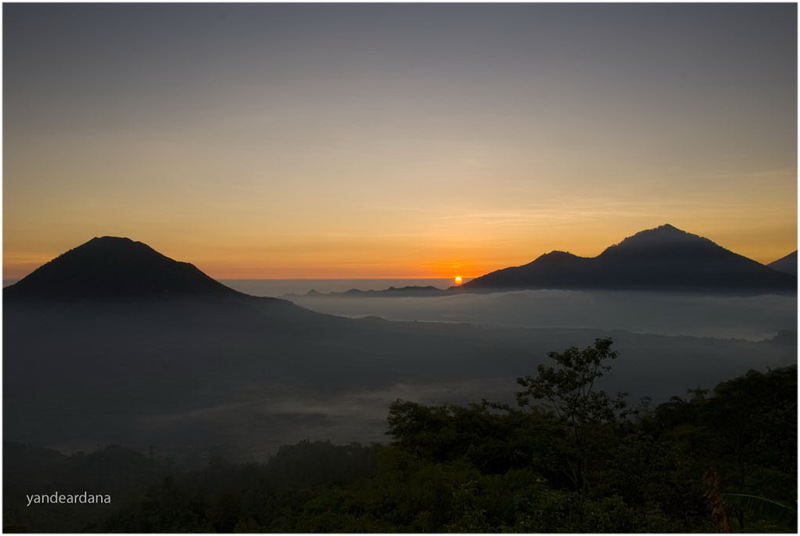 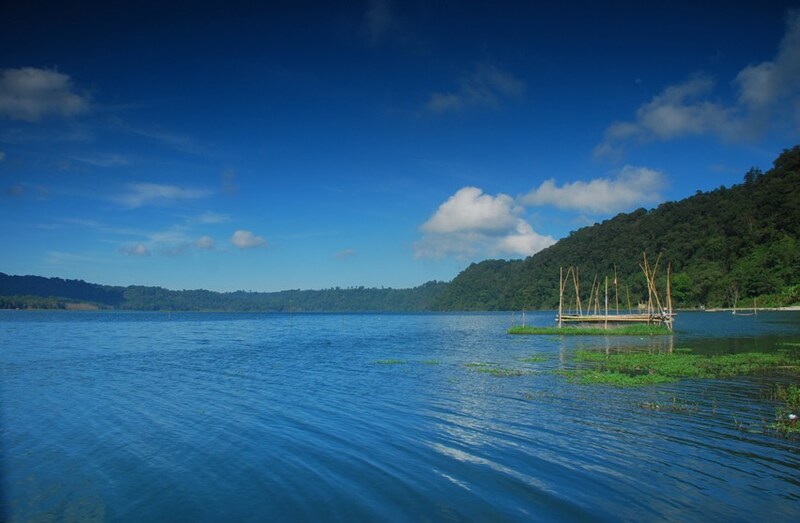 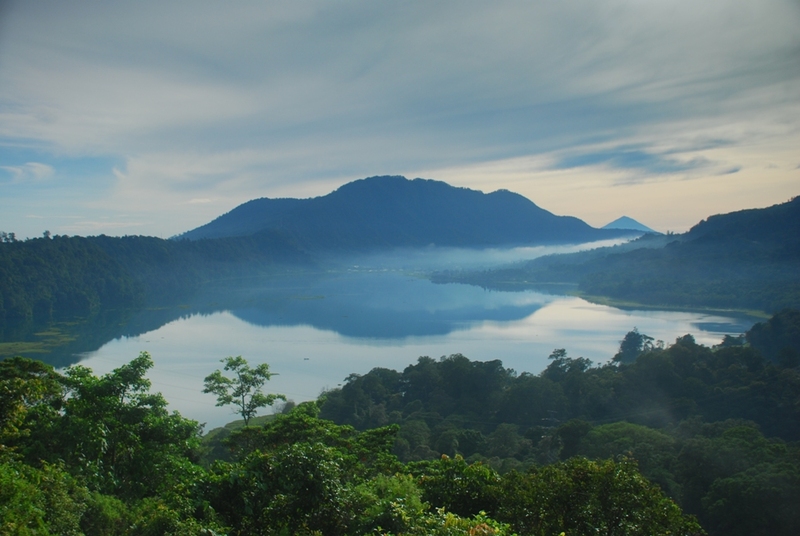 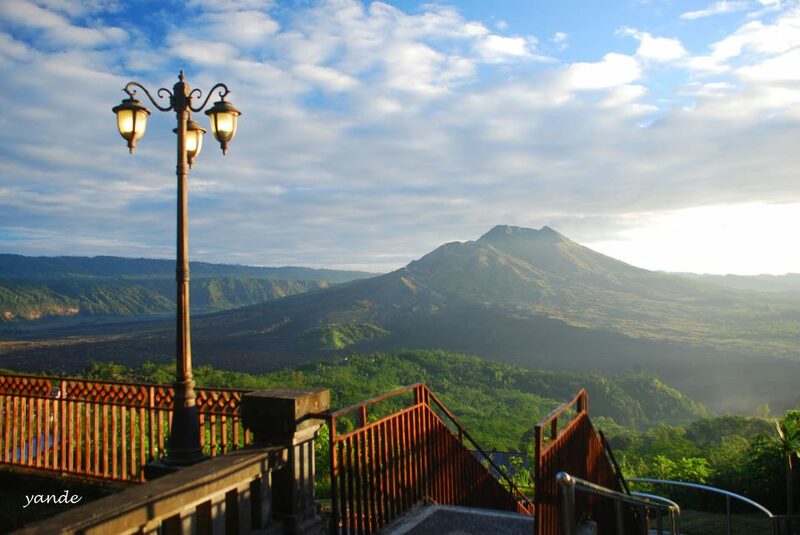 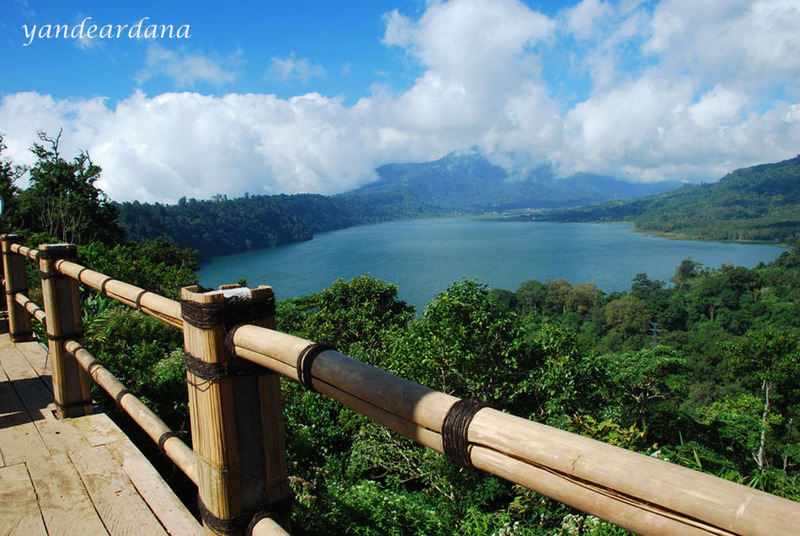 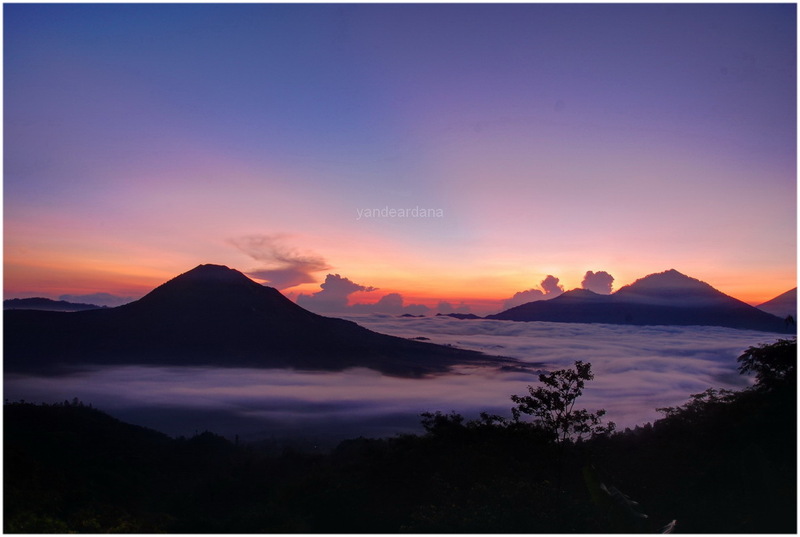 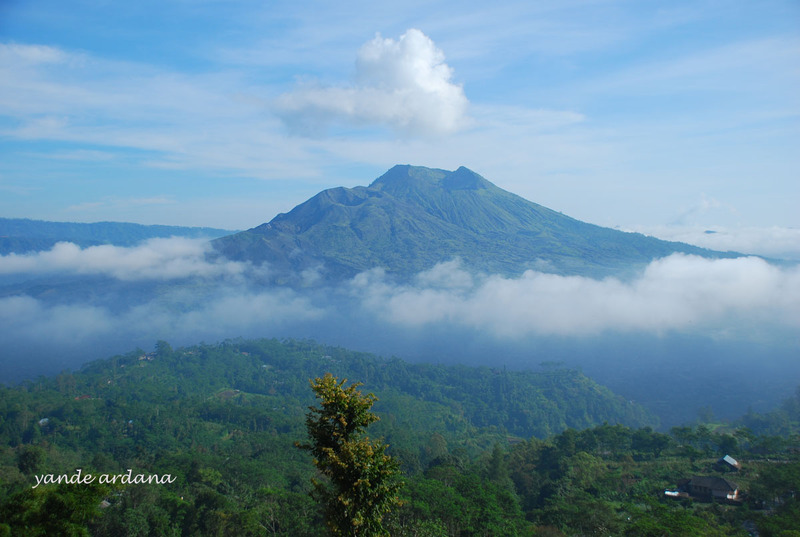 One of the four lakes in Bali, it has an extend 3.9 square kilometers and 87 meters deep. 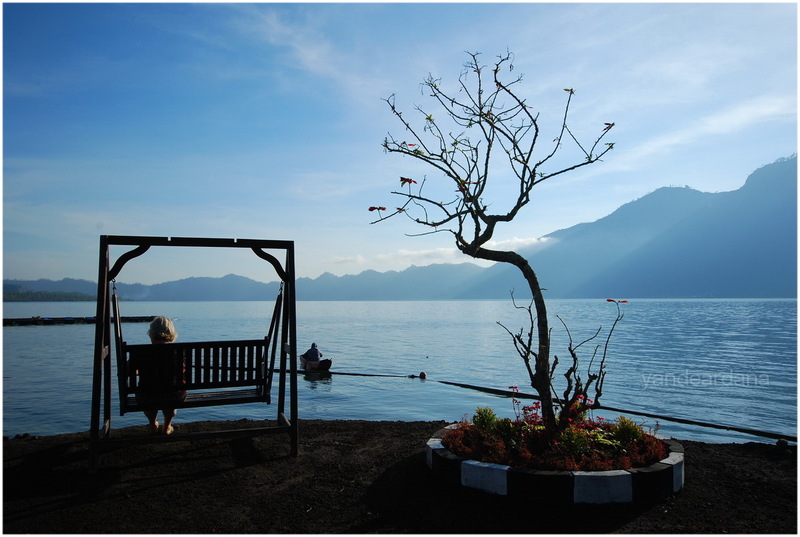 The lake view can be seen from place near Gobleg village while having tea or coffee. 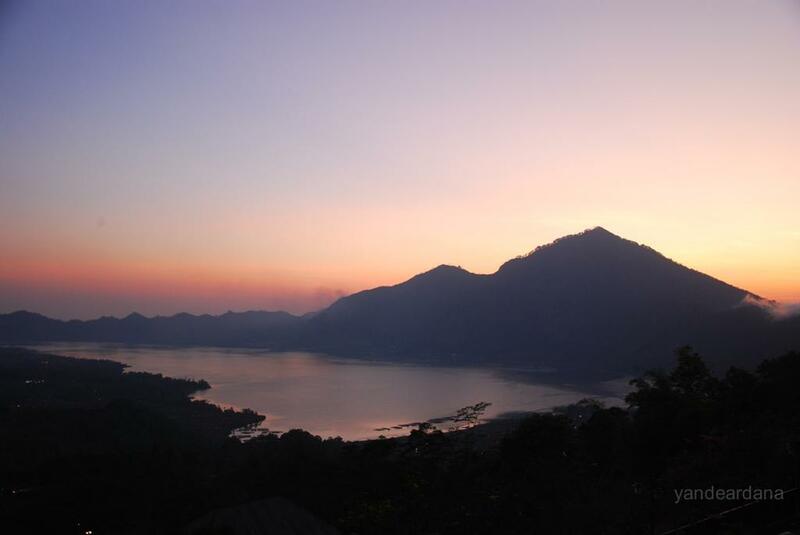 People also stop north of the lake for its view and feed long tail monkeys. 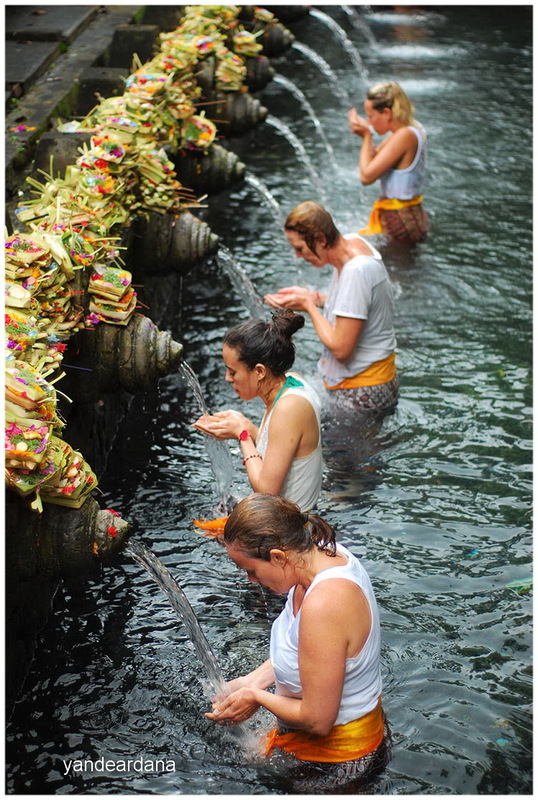 The location is in Manukaya Tampaksiring dated back to 962, the temple known as Spring temple cause in the main yard of the temple there is a source of water that always come out from the ground. 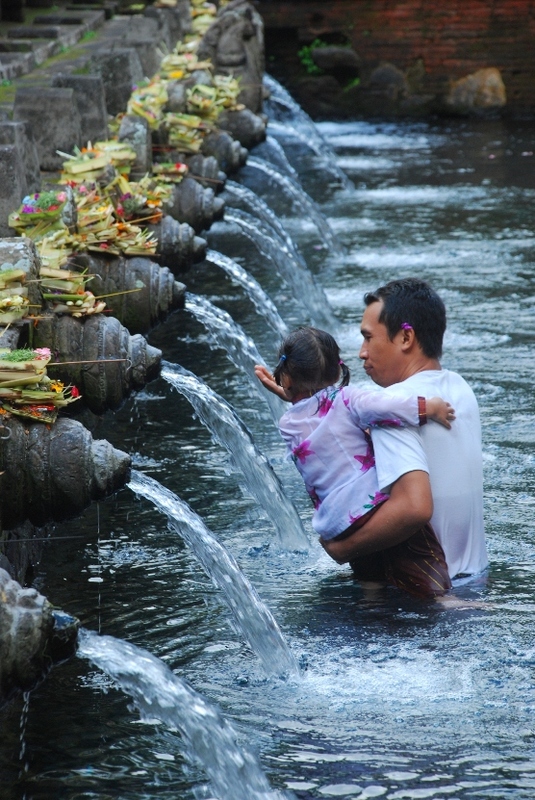 Then the water flow out to several fountains to out side yard where Balinese and some tourists do the purification. 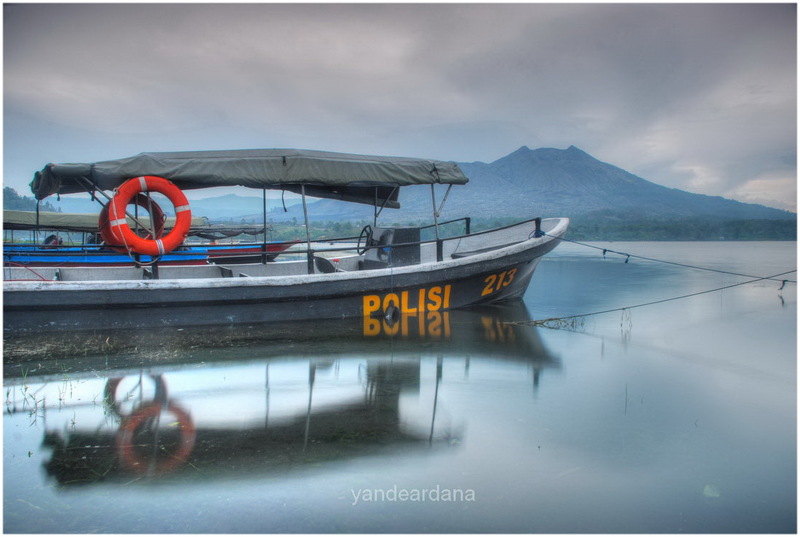 28-70 lense is ideal for this shoot. 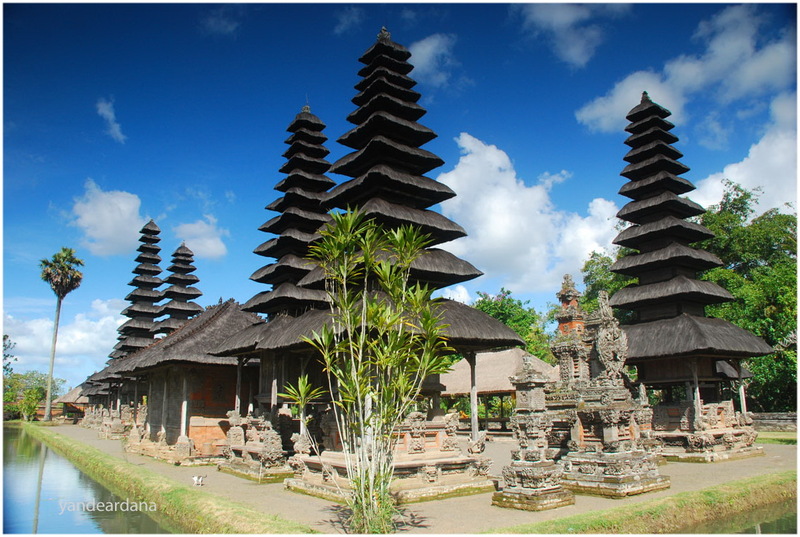 The temple built in 1634 by the founder of Mengwi kingdom, its a clan temple used to worship to God for the ancestor of Mengwi kingdom. 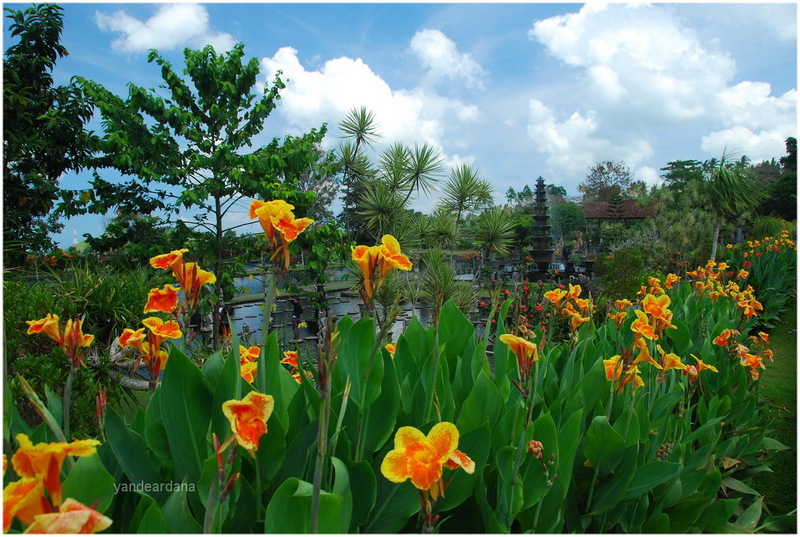 Taman means garden while Ayu means beautiful or suitable for every body. 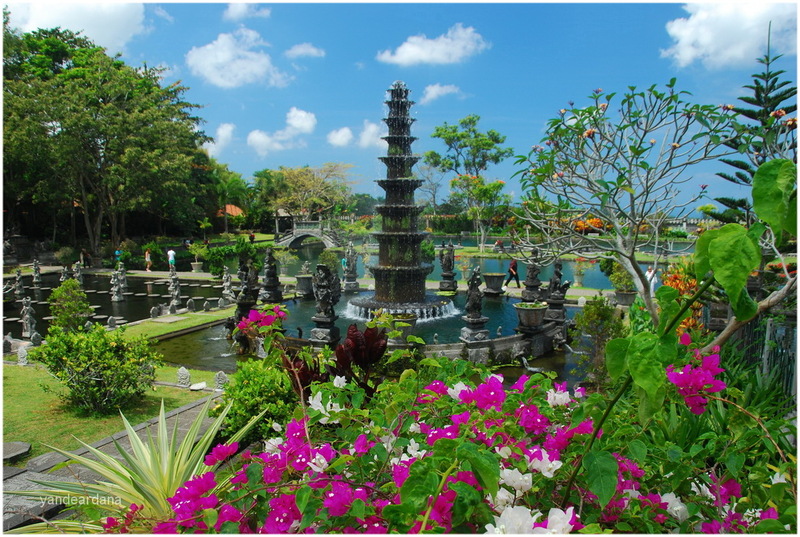 The temple is sorrounded by the moat and has three yard. 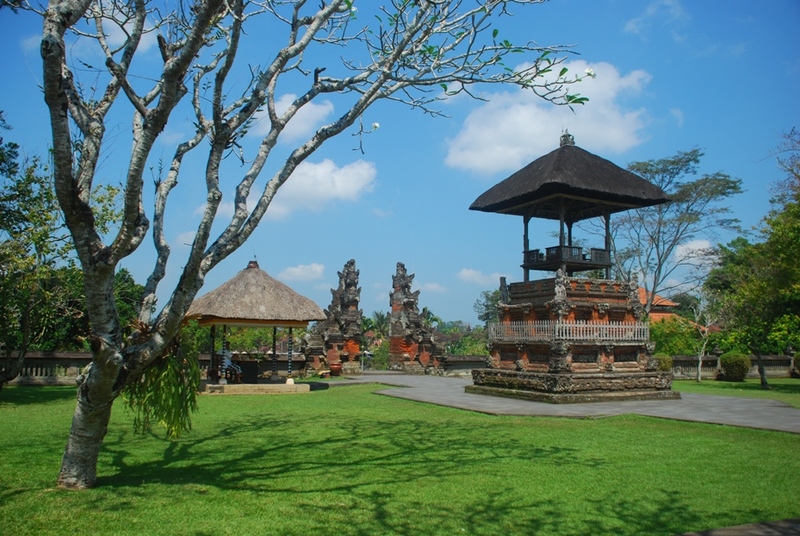 First yard has cockfighting arena, the second yard has wooden bell tower function to convey message that the ceremony is still going on, and the third yard is where all important shrines located. 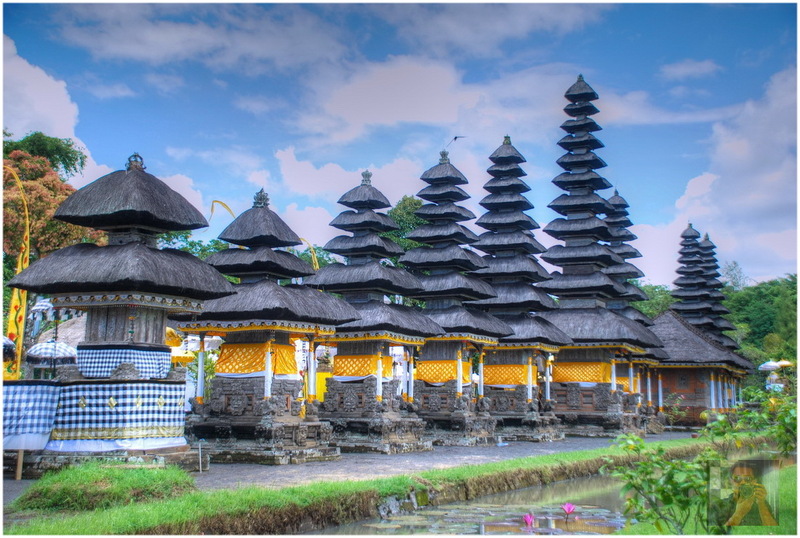 In this temple you need a wide lense to cover all the important shrines. 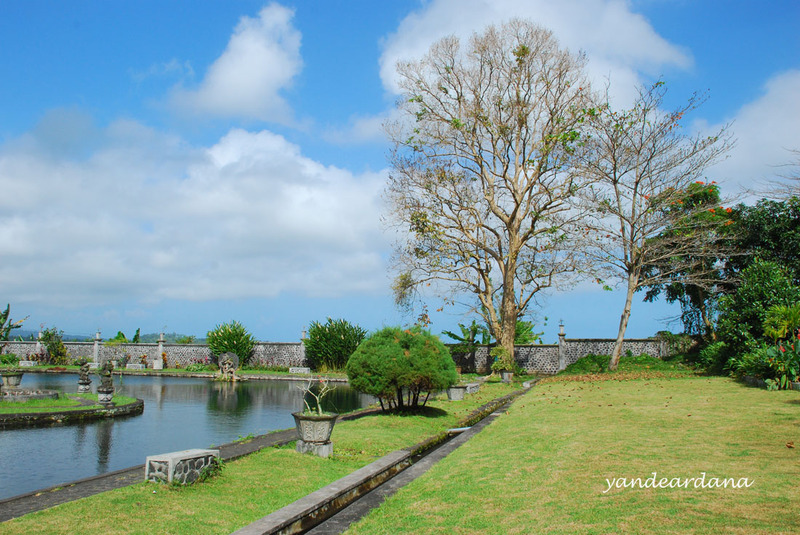 Royal bathing place for king of Karangasem Bali, built in 1948 by Anak Agung Agung Anglurah Ketut Karangasem, the King of Karangasem eastern part of Bali. 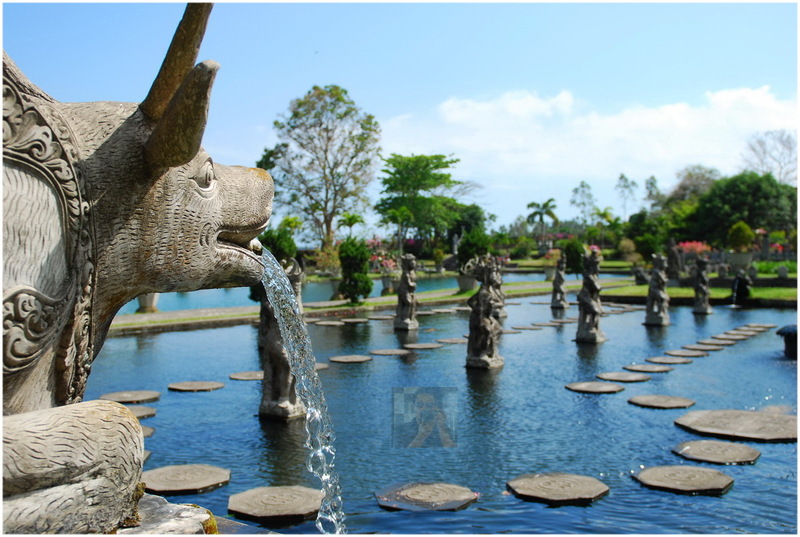 The area has a source of water so that the King has idea to built bathing place here. 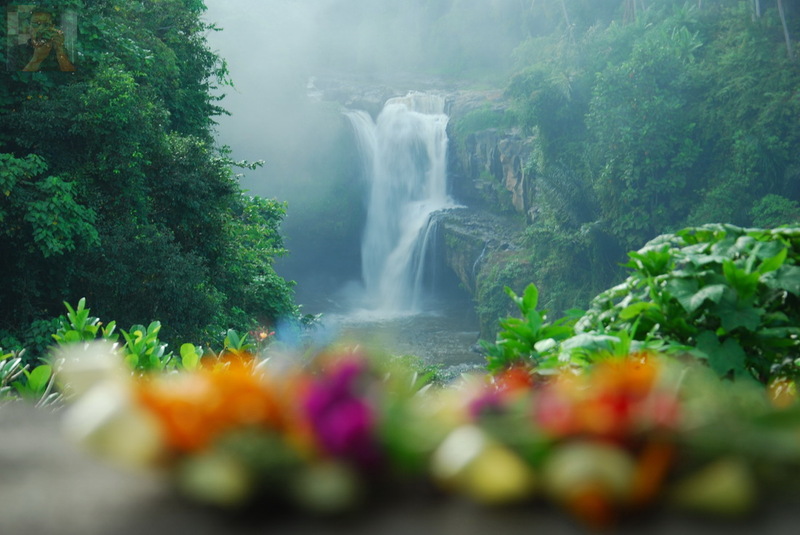 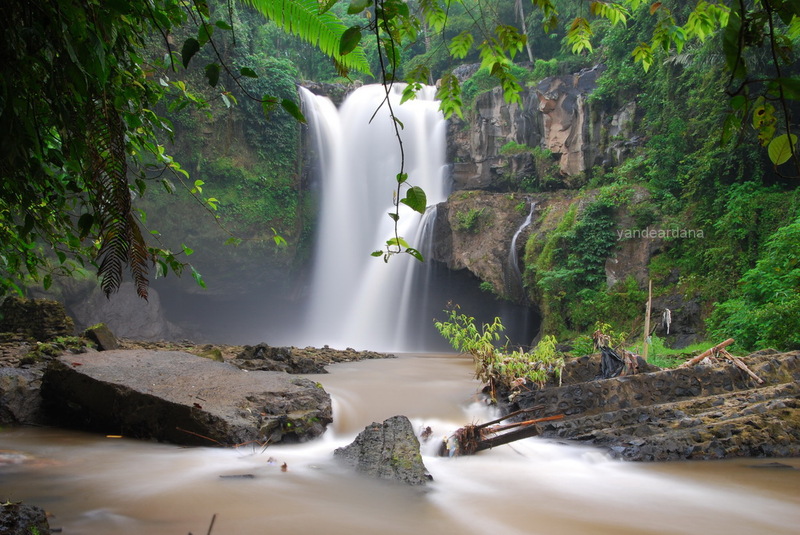 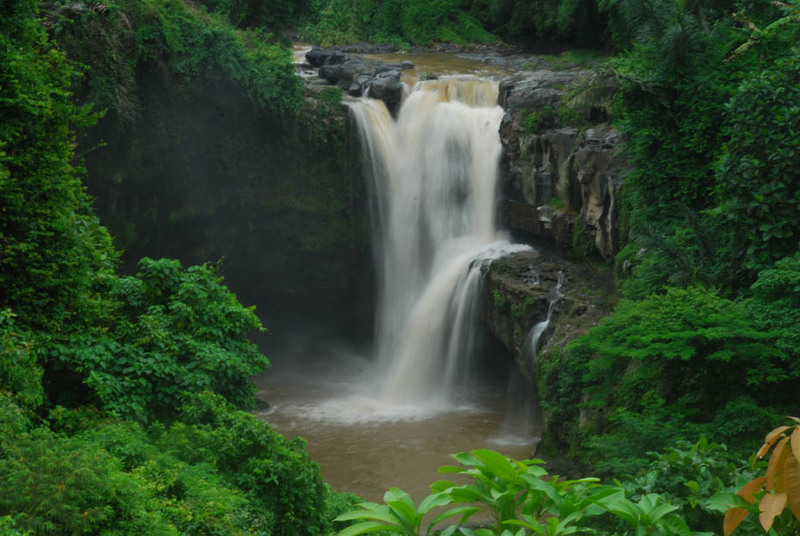 The only waterfall in Gianyar regency, not so far from Ubud just 15 minutes away by van. 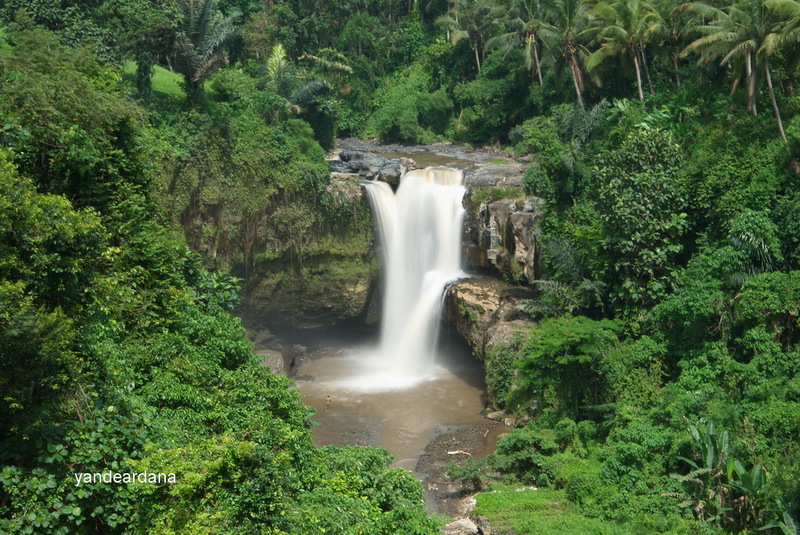 Shoot from the Warung as high angle we don’t need to down to the river. 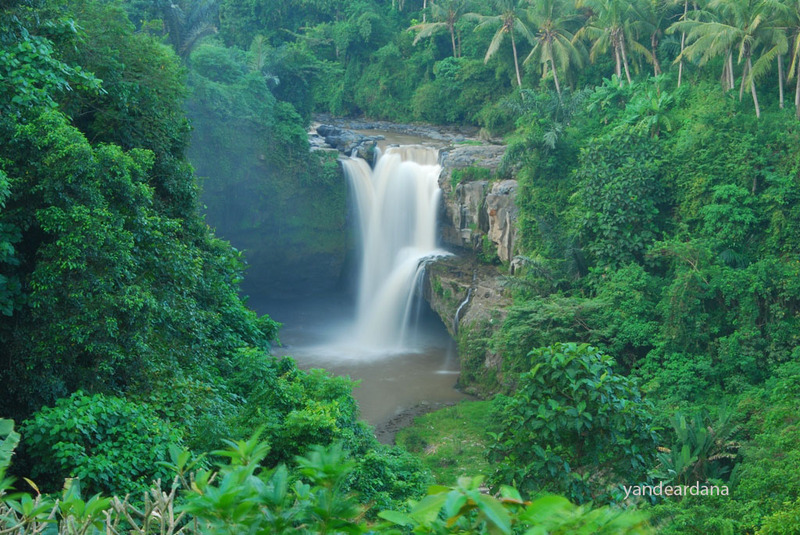 The waterfall is quite nice although not high enough with the trees as frame. 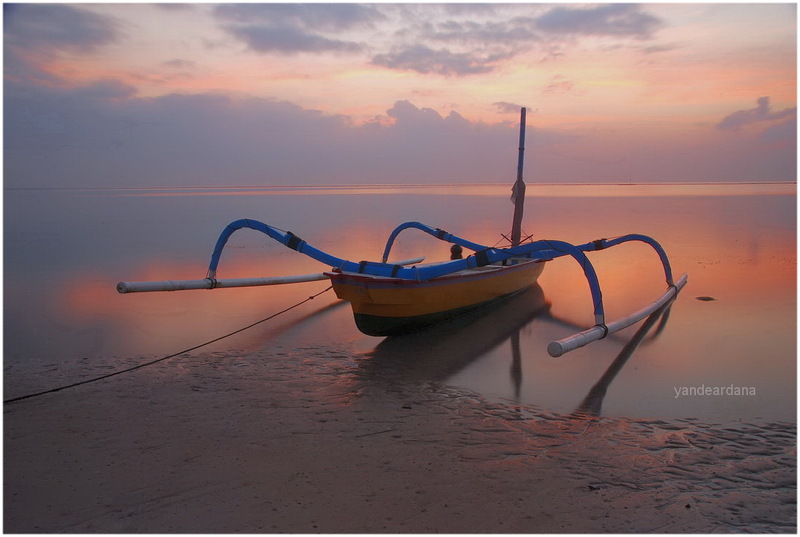 Jukung is a Bali word for traditional boat, means of transportation by fishermen in Bali, perhaps the catamaran got inspiration from this traditional boat. 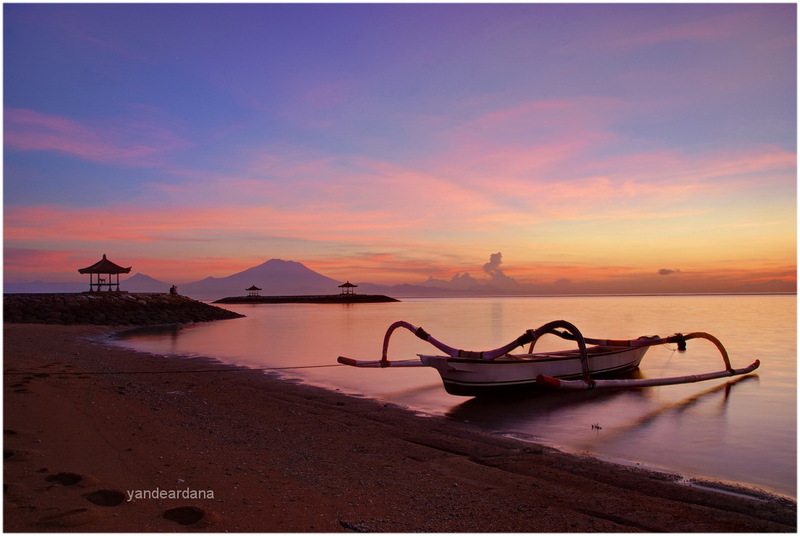 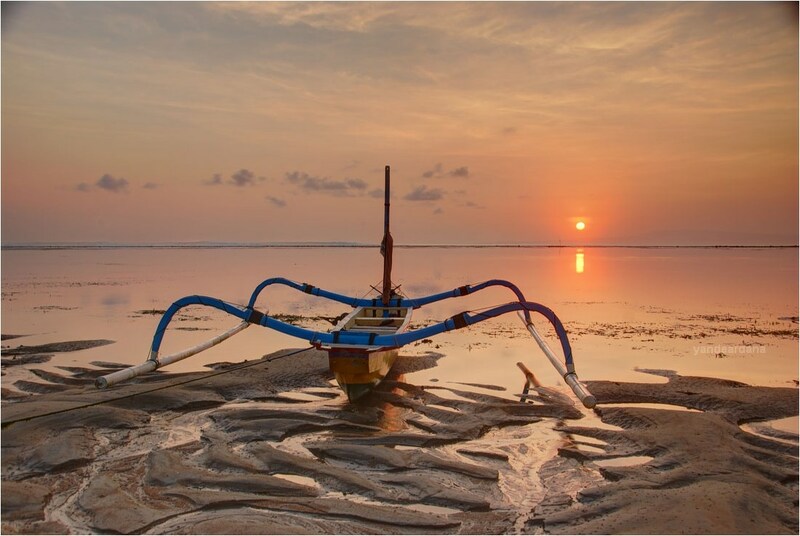 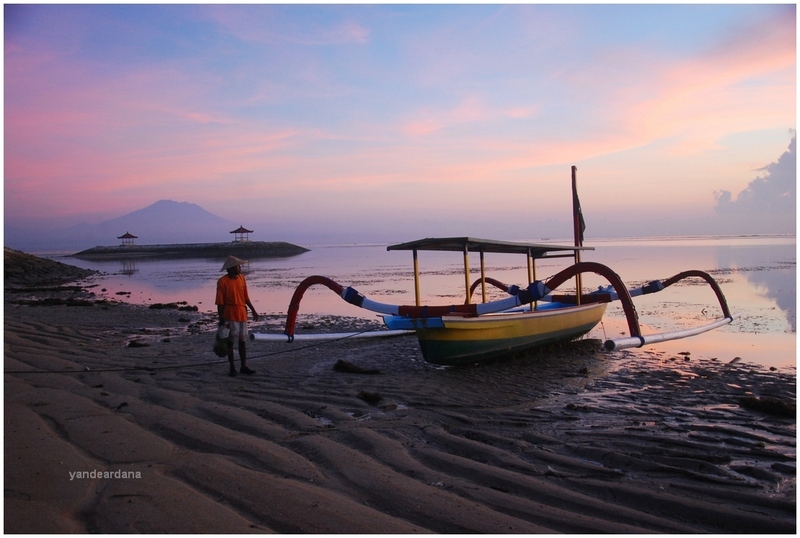 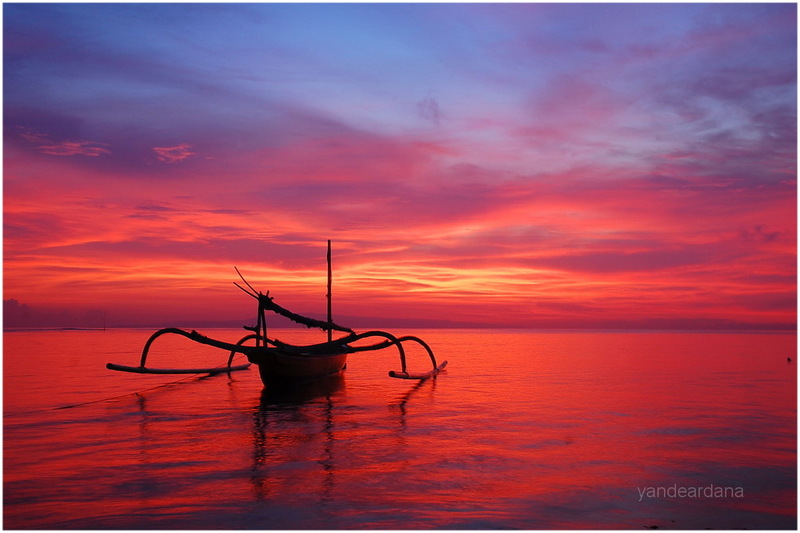 Not many seen in Bali beach cause Balinese prefer to work as farmers than fishermen.